Early voting has finally started! Although it is too late to register to vote, students who have already registered should take this election seriously and visit the polls. This year, the seats that are up for grabs in our government include the House of Representatives, our junior senator, our governor, attorney general, Texas Court of Criminal Appeals Presiding Judge, various state commissioners, and our Texas Congress. All of these will be voted during this year’s midterm elections. 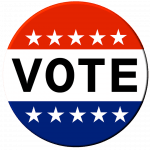 It is important to know that early voting is happening until November 2nd. With early voting, you can stop by any polling location until 6 P.M. During election day on November 6th, you must go to your assigned polling area, which varies by where you live. You can find this location by a quick Google search. The Bexar County website also provides this information. At a time like this, students should be using their vote. According to the Pew Research Center, Americans 65 or older was reported to have the highest voter turnout, with 70.9%, compared to ages 18 to 29 with the lowest at 46.1%. However, it is important that we don’t let older generations decide our future, which is why we can only change it if we get out and vote. Before students go out to vote, make sure to do some research on candidates. It does take a while, but it is extremely worth it, because you will be more educated on who your future representatives are. Don’t forget, the young people will win. Orchestra will have their Pre-U.I.L. 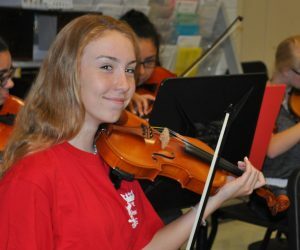 concert tomorrow, Tuesday, Feb. 13 at 7 p.m. in the auditorium to show off their strings and full orchestra songs before competing at U.I.L. The U.I.L. competition for orchestra will be from March 5 to March 7. Full orchestra is on March 5. Head Choir director Kenneth Turner will be retiring his position at the end of the school year to become the full time choir director at his local church. After teaching students how to sing for 24 years, Turner feels privileged about the opportunity he had to work with this program. Retirement is an option Turner has been considering for a while, but he did not decide until recently. “I’ve been thinking about it for about a year, but I really didn’t decide until just about four weeks ago,” Turner said. Many of his students are sad to see Turner go, but are excited to see what lies ahead in the future of choir. There will be interviews in the near future to find a new head choir director after Turner retires. “The future that choir has in store is just the next step and a new beginning to see where the choir will go,” Assistant Choir director Bonnie Smith said. “It’s going to be an exciting journey. Turner will definitely miss his students and emotional connections he has made over the years through music.